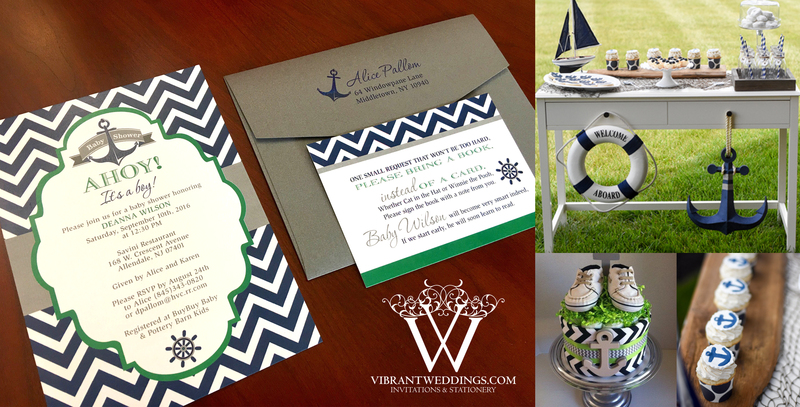 Custom Navy Blue and Green Sailor Baby Shower invitations for your bundle of joy! 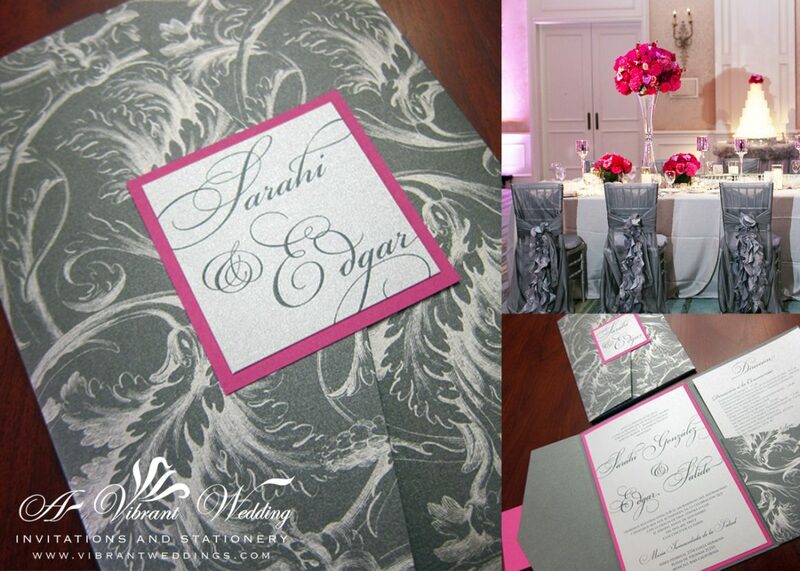 Contact A Vibrant Wedding to customize your special event invitations and matching stationery. 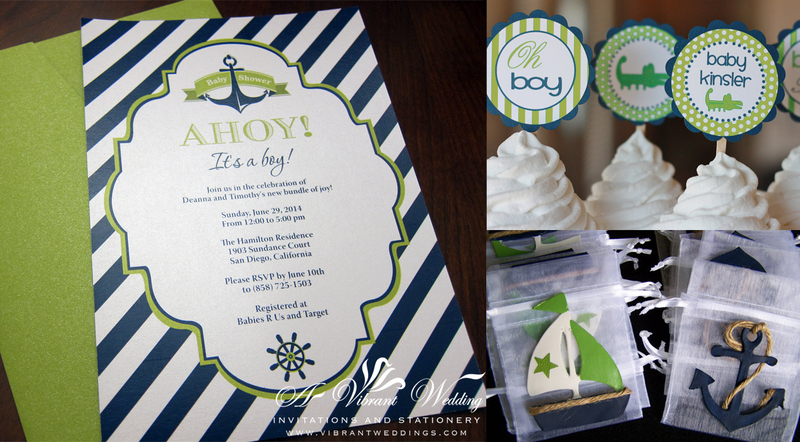 To view our extensive portfolio or to customize your own, please contact us at avibrantwedding@gmail.com or (619)852-6886. We ship nationwide. 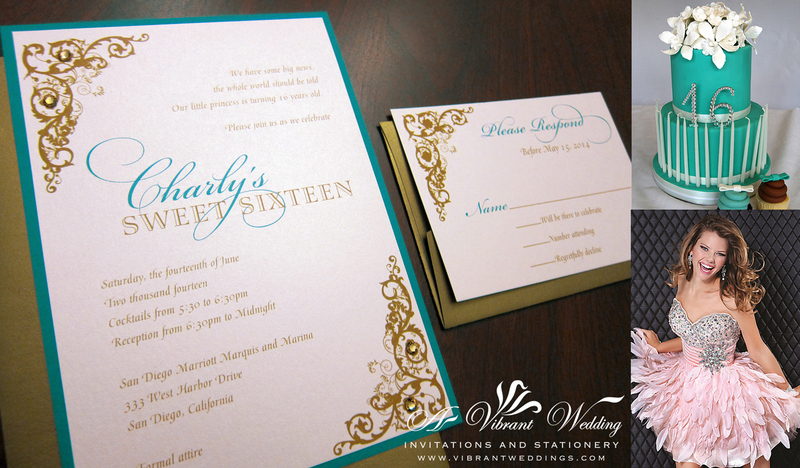 $4.00 per invitation suite for a set of 50 invitations. Please contact us to receive an estimate for a different quantity. 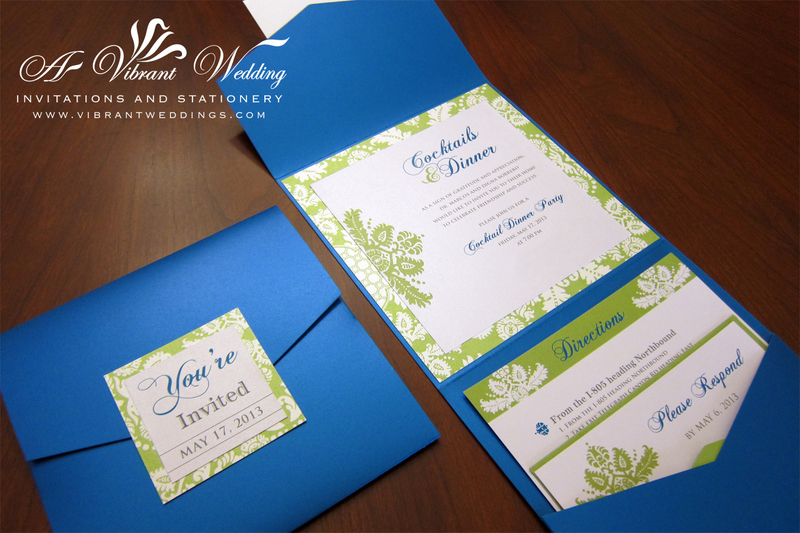 Included are 5×7″ Flat invitation and one blank envelope (White or Ivory, or Green). Printed on metallic shimmer card-stock paper. 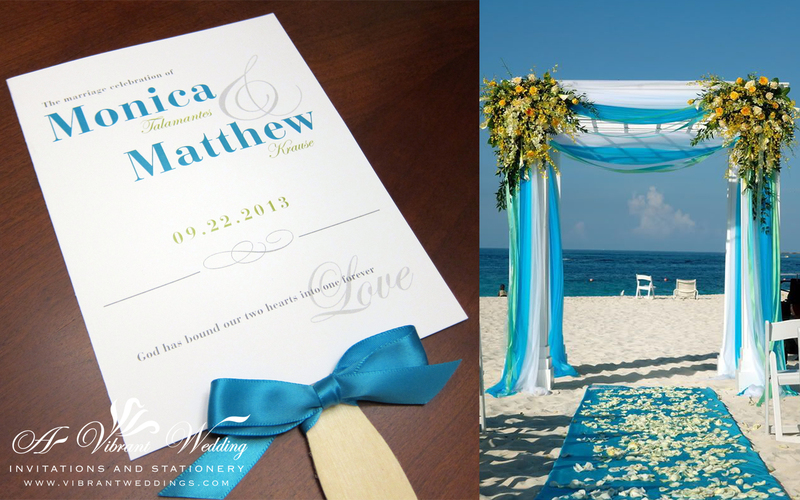 Keep your guests fashionably cool on those hot summer days with our custom ceremony fans. Each wedding ceremony fan is adorned with the ribbon color of your choice. Fans measure approximately 5” by 11” and come fully assembled with ribbon attached. Ribbon is optional. Fans are two-sided with wooden handle sandwiched between. Each made by hand. $4.00 Each fan with tied ribbon. Minimum order of 30. $3.50 Each fan without ribbon. Minimum order of 30. Custom Ceremony Fans 5×11″ from top of paper to bottom of wooden stick. Printed on both sides.